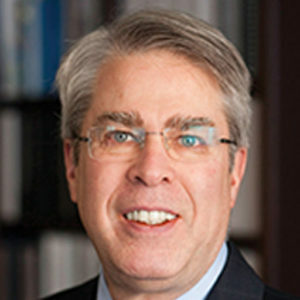 Howard R. Soule, PhD, coordinates global academic, government and biopharmaceutical sector research activity and is responsible for the implementation of PCF’s global research strategies. He is also a member of the Department of Defense Prostate Cancer Research Program Integration Panel. Most recently, he was Managing Director of Knowledge Universe Health and Wellness Group, a private investment firm focused on companies in the general areas of disease prevention and treatment. Dr. Soule has been with the Foundation for 19 years. Prior to joining PCF in 1997, Dr. Soule was a senior R&D executive for nine years at Corvas International, Inc., a public biotechnology company. He was responsible for the discovery and development of innovative products for the treatment of life-threatening cardiovascular diseases. Dr. Soule has considerable experience in medical diagnostic and device industries as well. Dr. Soule received a PhD from Baylor College of Medicine in Virology and Epidemiology and was a Post Doctoral Fellow in Immunology and Vascular Biology at the Scripps Research Institute.